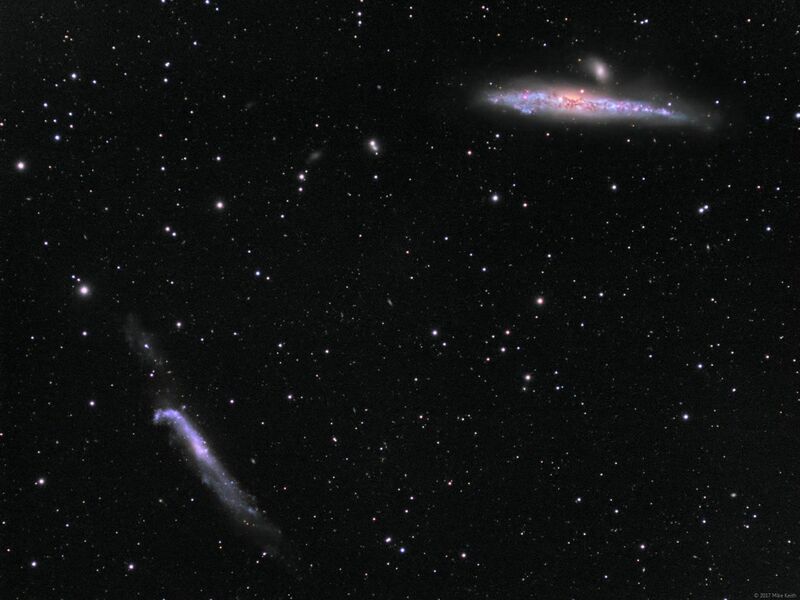 At the upper right is NGC 4631, known as the Whale Galaxy. Above it hovers the small galaxy NGC 4627 which is partially responsible for distorting the shape of the Whale. 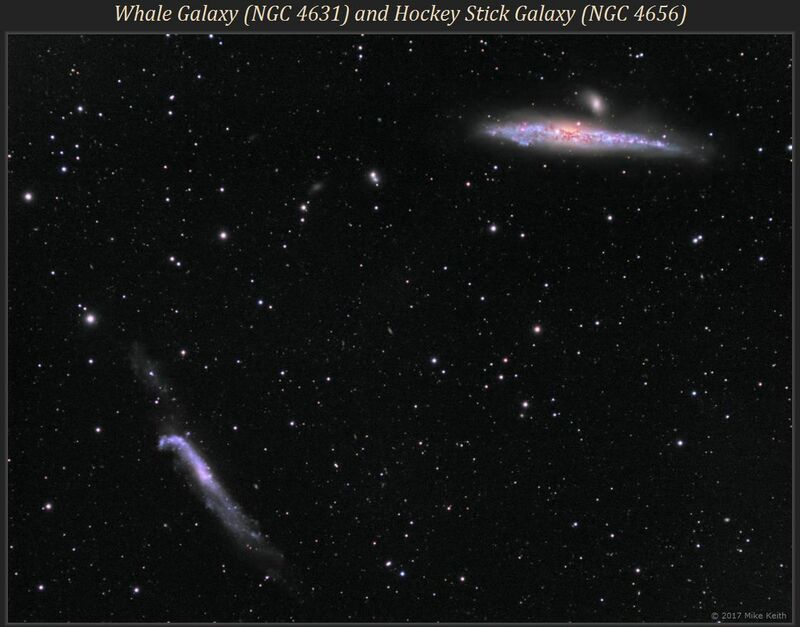 At the lower left is NGC 4656, the Hockey Stick Galaxy, which is also distorted by a smaller galaxy, NGC 4657, which is located right at the tip of the "blade" of the hockey stick. All of these galaxies lie at the same distance, about 25 million light years.